Kesh Kanti Milk Protein is highly recommended for reducing hair loss. It is a natural hair care product that is free from harmful chemical ingredients. It cleanses the scalp completely and removes dirt and pollutants that could damage the hair roots. It restores the strength of the hair follicles and shafts thus preventing hair fall and breakage. It is also useful for preventing split ends. The herbal ingredients present in this herb such as Bhrigraj, Mahendi, and Aloe Vera provide a renewed glow and strength to the hairs. Neem present in this product helps to fight the bacteria in the scalp. This helps to prevent infections that can otherwise cause significant damage to the hair roots and make them prone to breakage. Aloe Vera present in this product acts as an antioxidant and protects the hair root against the damage caused by free radicals. It also acts as a photoprotective agent and prevents damage to the hair follicles as a result of excessive exposure to the sun. It makes the hair long and shiny. A regular use of Kesh Kanti Milk Protein can make the hair voluminous and bouncy. Kesh Kanti Milk Protein maintains the health of the hair by providing natural proteins, which can boost the natural ability of the body to repair the damaged hair shafts. Kesh Kanti Milk Protein is a natural cleanser of the scalp and hair. It keeps the scalp clean by removing chemical toxins, dirt, and pollutants. It also controls an excessive sweating in the glands of the skin of the scalp and thus, prevents a greasy or oily appearance of the hair. 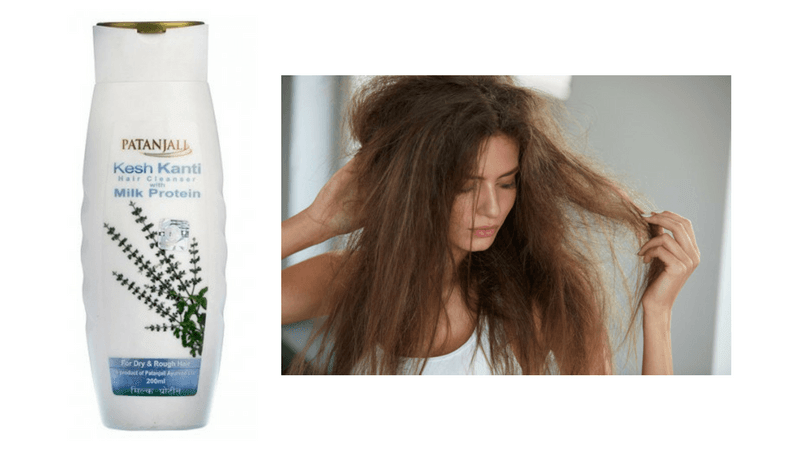 Kesh Kanti Milk Protein acts as a natural tonic for the hair. The antioxidant and adaptogenic effects of Neem and other herbs present in this product help to slow down the premature graying of the hair. Tulsi and Aloe Vera present in it act as a natural anti-aging agent and preserve the strength and natural color of the hair. It delays the signs of aging including graying of the hair. Kesh Kanti Milk Protein may increase the oiliness or greasiness of the scalp. Kesh Kanti Milk Protein is suitable for the men and women having dry scalp. It improves the moisturization of the scalp and the hair roots and boosts the hair growth. Apply 2 to 5 ml of Kesh Kanti Milk Protein on wet hair, and massage gently for 1 minute. Then, rinse with water.